Campervans are vans or small people movers that have been fitted out with a bed, small kitchen, and sometimes even basic bathroom facilities among other things, so you can go on holiday without the burden of a full caravan or motorhome. They’ve become incredibly popular as a rental option for young back packers exploring Australia on a tight budget. While smaller than their leisure vehicle cousins, camper vans have a lot going for them when it comes to short and long holidays, regardless of your budget. Manageable size – The smaller size of a camper van compared to a motorhome, caravan, or even a camper trailer hitched to the back of your car, means you can easily drive just about anywhere a large car can go. Most camper vans are about the same width as a car and won’t be any higher than 2 metres, so you can still park in underground car parks, drive under bridges and just simply drive comfortably. And because they’re under 4.5 tonne you can drive them on a standard Australian driver’s licence. More camping options – You can camp in a lot more places with a camper van. Obviously you can rent a site at a caravan park, but camper vans can also rent sites at “camping only” national parks and camp grounds. 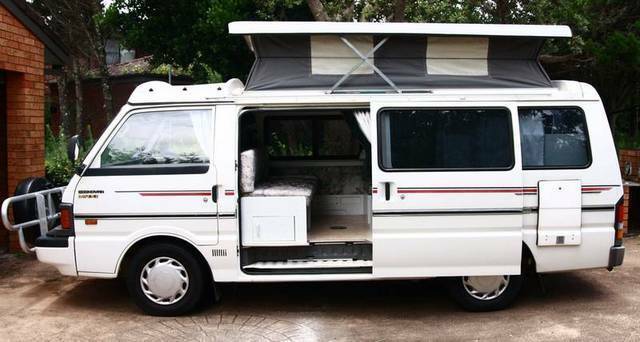 There are also hundreds of locations and towns throughout Australia where campervans can stay overnight for free, either in designated parking lots or on the roadside. You can even go with a 4WD camper van to get to beautifully isolated camp grounds, without having to hike there carrying all the facilities included in a camper. Save money – Not only will you save money on caravan sites and the use of park facilities, but you’ll also save a whole lot on fuel. Many camper vans today have really economic engines, using about as much fuel as a medium sized car. Save time – unlike a standard caravan, your camper van doesn’t need to be unhitched and levelled, only to be re-hitched before you get on the road again. Once you’ve loaded everything on board (with roof racks you’ll be able to carry a lot) you’re all ready to go on holiday. Luxury meets the outdoors – Camper vans can be a cheap option for backpackers and the like, but that doesn’t mean your camper van can’t be luxurious. There are plenty of luxury amenities you can have fitted, including TVs, air conditioning, fridges, GPS and even WiFi. All this is right there waiting for you on the doorstep of some of the most spectacular locations on earth. So if you’re an active holidaymaker, love the outdoors and seeing the sights when you go away, a camper van may be the right choice for you. If you’re not sure simply rent a campervan for a week or even a weekend to get a feel for it. Once you’ve done that and want to get a camper for yourself, whether it’s a new standard camper, second hand, or a custom build, come and talk to the team at Aussie Leisure Loans. Our long association with a wide panel of lenders means we can offer competitive rates on camper van finance.